When husband and wife, Julio & Cecilia, first immigrated to Los Angeles in the 1980s from Lima, Peru, they quickly opened Mr. Pollo in West Covina, serving up their famous Peruvian pollo a la brasa. However, Mr. Pollo is not a full service restaurant and does not offer any of the beloved seafood dishes that Julio and Cecilia love and miss so much from their hometown. 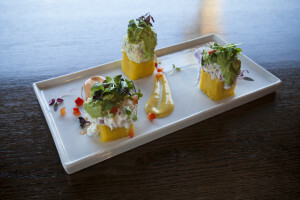 It has been their lifelong dream to open a full service Peruvian restaurant in the San Gabriel Valley that offers patrons fresh ceviche, fresh seafood dishes, and high quality hot dishes that are all reminiscent of the food that they grew up eating…but with a few modern twists, of course. And hence, Misky Misky opened it’s doors on July 19, 2014. “Misky” is the Quechua word for “delicious”. Quechua was the language of the Inca empire which was destroyed by the Spanish in the 16th century. With Misky Misky, Julio & Cecilia hope to grow the public’s awareness of Peruvian food by offering high quality Peruvian dishes that are presented beautifully in a friendly, comfortable, and modern setting.